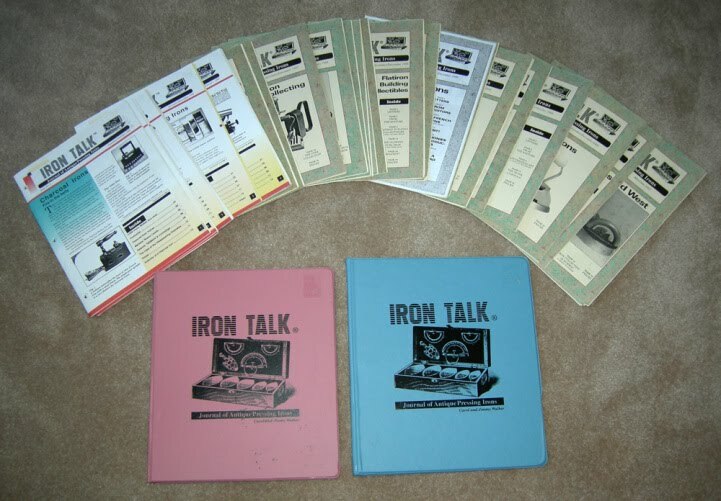 Iron Talk was published bi-monthly 1996-2002 by Jimmy & Carol Walker, who were well known iron collectors from Texas. There were 40 journals issued between 1995 and 2002. Every other month a different topic was discussed. Each issue is in an 8 1/2″ x 11″ booklet format with 14-16 pages printed on heavy stock. Past issues of Iron Talk Journal are hard to come by! Issued by subscription, today the majority of bound sets reside in the libraries of collectors. 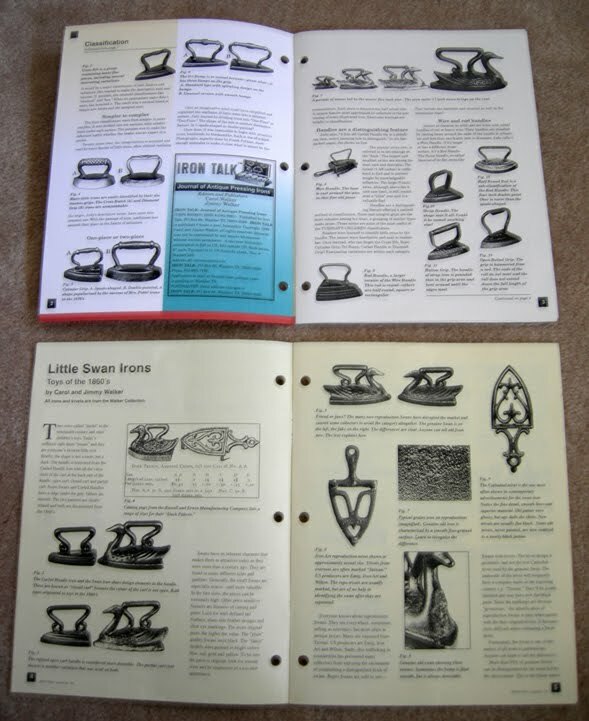 If you are an iron collector or a trivet collector who would like to learn more about irons, this is a valuable reference. Below are the subjects discussed in the 40 issues of Iron Talk. PS: PITCA members (Pressing Iron & Trivet Collectors of America) have access to all 40 issues of Iron Talk through the organization’s Lending Library. This is another reason to Join PITCA! This entry was posted on November 17, 2010 by Lynn Rosack in References for Collectors and tagged Iron Talk, Jimmy & Carol Walker.